A complete overview and listings of all the venues involved with the 2016 Buffalo Niagara International Film Festival. 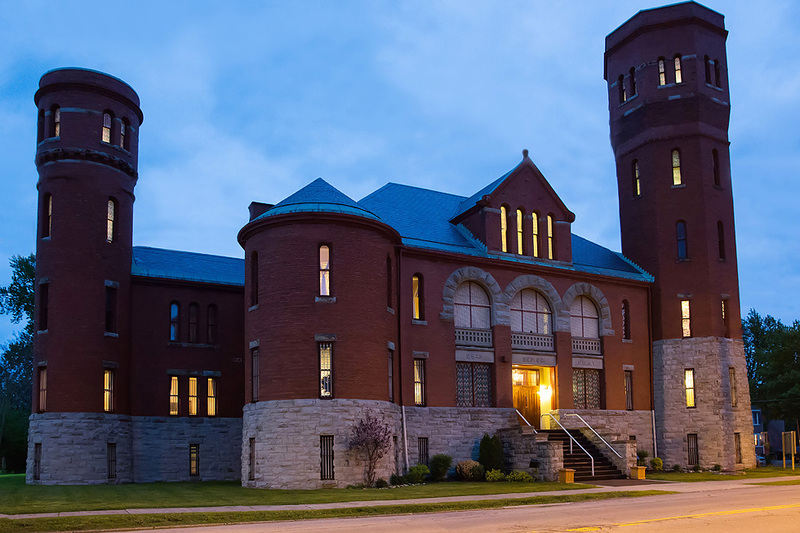 The Tonawanda Castle is conveniently located in the heart of Western New York, easily accessible from the Buffalo-Niagara International Airport, and provides ample, free parking. Constructed as an armory for the 25th Separate Company of the National Guard, the massive 38,000 square-foot armory was built in the impressively short span of a year and a half, between the winter of 1896 and summer of 1897. With a foundation of Warsaw blue granite and walls of deep red mason brick, this historic building has presided over Delaware Street in the city of Tonawanda for more than 100 years. 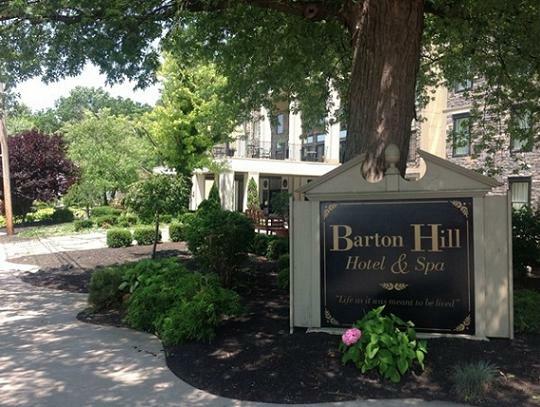 The Barton Hill Hotel & Spa, the premier boutique hotel just minutes from Niagara Falls. Visitors may be surprised to hear that in 1812, the grounds of our hotel marked the launching point of America’s invasion into Canada. Though the world is a very different place today, the Barton Hill Hotel & Spa maintains both the aesthetic charm of Lewiston and the old-world tradition of excellence in service. I simply want to say I am just very new to blogging and honestly savored your blog site. Most likely I’m likely to bookmark your blog . You actually have excellent articles and reviews. Thanks for revealing your web-site. Zune and iPod: Most All those assess the Zune towards the Contact, nonetheless as soon as observing how thin and surprisingly very low and mild it is, I test it in the direction of be a as an alternative one of a kind hybrid that brings together features of both of those the Contact and the Nano. It can be exceptionally vibrant and magnificent OLED display screen is a bit scaled-down than the contact screen, but the player alone feels rather a bit lesser and lighter. It weighs in excess of 2/3 as a lot, and is noticeably lesser within just width and peak, whilst getting precisely a hair thicker. It’s a genuine bed and one that our team rested as well as in our personal bedroom at house. This was actually a selection effectively produced. Hiya, I’m really glad I’ve found this info. Nowadays bloggers publish only about gossip and net stuff and this is really irritating. A good site with interesting content, that’s what I need. Thank you for making this web-site, and I’ll be visiting again. Do you do newsletters by email? Hey there. I found your website by means of Google even as searching for a similar subject, your site came up. It seems to be good. I’ve bookmarked it in my google bookmarks to visit then. Hi there. I found your site by the use of Google at the same time as looking for a similar topic, your site came up. It appears to be good. I have bookmarked it in my google bookmarks to visit then. Hiya, I am really glad I have found this info. Today bloggers publish only about gossip and internet stuff and this is really annoying. A good web site with interesting content, that’s what I need. Thank you for making this website, and I’ll be visiting again. Do you do newsletters by email? Thanks a lot very much for the high caliber and results-oriented help. I will not think twice to endorse your site post to anybody who wants and needs support concerning this region. Hello there. I discovered your site by means of Google even as looking for a similar subject, your site got here up. It seems to be great. I have bookmarked it in my google bookmarks to come back then. Hiya, I am really glad I have found this information. Nowadays bloggers publish only about gossip and web stuff and this is really annoying. A good blog with interesting content, that’s what I need. Thank you for making this website, and I will be visiting again. Do you do newsletters by email? Hello there. I discovered your blog by means of Google even as searching for a comparable topic, your site got here up. It appears great. I have bookmarked it in my google bookmarks to come back then. Hey there. I discovered your blog by means of Google even as looking for a similar matter, your site came up. It seems to be good. I have bookmarked it in my google bookmarks to visit then. Hiya, I’m really glad I have found this information. Nowadays bloggers publish just about gossip and web stuff and this is really annoying. A good site with exciting content, that is what I need. Thank you for making this web site, and I’ll be visiting again. Do you do newsletters by email? Hiya, I am really glad I’ve found this information. Nowadays bloggers publish just about gossip and net stuff and this is really frustrating. A good blog with interesting content, that’s what I need. Thank you for making this website, and I’ll be visiting again. Do you do newsletters by email? Hiya, I am really glad I have found this information. Today bloggers publish just about gossip and net stuff and this is actually frustrating. A good site with exciting content, this is what I need. Thanks for making this website, and I will be visiting again. Do you do newsletters by email? Hey there. I discovered your site via Google whilst looking for a related subject, your website came up. It seems to be great. I have bookmarked it in my google bookmarks to come back then. Hiya, I’m really glad I have found this information. Today bloggers publish just about gossip and web stuff and this is really annoying. A good blog with exciting content, that is what I need. Thanks for making this site, and I will be visiting again. Do you do newsletters by email? Hiya, I am really glad I’ve found this info. Today bloggers publish just about gossip and internet stuff and this is really frustrating. A good web site with exciting content, that’s what I need. Thank you for making this site, and I will be visiting again. Do you do newsletters by email? Hello there. I discovered your website by the use of Google while searching for a similar subject, your site came up. It appears good. I’ve bookmarked it in my google bookmarks to visit then. Hello there. I found your site by way of Google whilst looking for a similar topic, your website came up. It looks good. I have bookmarked it in my google bookmarks to visit then. Hi there. I found your blog by way of Google even as looking for a comparable topic, your web site came up. It looks good. I have bookmarked it in my google bookmarks to visit then. Hey there. I found your blog by means of Google at the same time as looking for a similar subject, your site came up. It looks good. I’ve bookmarked it in my google bookmarks to come back then. Hey there. I discovered your website by the use of Google whilst looking for a related topic, your web site came up. It seems to be good. I’ve bookmarked it in my google bookmarks to visit then. Hi there. I discovered your site via Google even as searching for a comparable topic, your web site came up. It appears great. I have bookmarked it in my google bookmarks to come back then. Hiya, I’m really glad I’ve found this info. Nowadays bloggers publish only about gossip and net stuff and this is actually irritating. A good website with interesting content, that’s what I need. Thank you for making this site, and I’ll be visiting again. Do you do newsletters by email? Hiya, I am really glad I’ve found this information. Today bloggers publish only about gossip and web stuff and this is actually frustrating. A good web site with exciting content, that’s what I need. Thank you for making this web site, and I’ll be visiting again. Do you do newsletters by email? Hi there. I discovered your blog by means of Google while searching for a similar subject, your web site came up. It looks great. I have bookmarked it in my google bookmarks to visit then. Hey there. I found your site by way of Google at the same time as searching for a comparable matter, your site came up. It appears to be good. I’ve bookmarked it in my google bookmarks to visit then. Hi there. I found your website by way of Google whilst searching for a comparable subject, your website came up. It appears good. I’ve bookmarked it in my google bookmarks to come back then. Hey there. I found your website by the use of Google whilst looking for a similar subject, your web site got here up. It appears great. I have bookmarked it in my google bookmarks to come back then. Hello there. I discovered your web site by means of Google at the same time as looking for a similar matter, your website got here up. It appears to be good. I’ve bookmarked it in my google bookmarks to come back then. Hello there. I discovered your web site via Google while searching for a related matter, your web site came up. It seems great. I have bookmarked it in my google bookmarks to visit then. Hey there. I discovered your blog by means of Google at the same time as searching for a related topic, your website came up. It appears to be great. I have bookmarked it in my google bookmarks to come back then. Hi there. I discovered your web site by means of Google at the same time as looking for a related topic, your website came up. It appears good. I’ve bookmarked it in my google bookmarks to come back then. Hello there. I discovered your site via Google at the same time as searching for a comparable subject, your web site came up. It looks great. I have bookmarked it in my google bookmarks to visit then. Excellent goods from you, man. I have understand your stuff previous to and you’re just extremely great. I actually like what you’ve acquired here, certainly like what you’re stating and the way in which you say it. You make it enjoyable and you still take care of to keep it sensible. I can not wait to read far more from you. This is actually a terrific site. Thank you so much for providing individuals with remarkably wonderful chance to discover important secrets from this site. It’s always very amazing and as well , full of fun for me personally and my office friends to visit your website a minimum of 3 times weekly to read through the new secrets you have got. And definitely, we are at all times fulfilled with the eye-popping hints you give. Certain 1 tips in this posting are rather the most impressive we’ve had. Hi there. I discovered your site by way of Google even as searching for a related subject, your site got here up. It looks great. I’ve bookmarked it in my google bookmarks to visit then. Hello there. I found your blog by the use of Google at the same time as looking for a related topic, your site got here up. It appears to be good. I’ve bookmarked it in my google bookmarks to visit then. Hello there. I found your website via Google whilst searching for a comparable subject, your web site got here up. It appears great. I’ve bookmarked it in my google bookmarks to come back then. Hello my family member! I wish to say that this article is awesome, nice written and come with almost all significant infos. I would like to see more posts like this. Hey there. I found your website by the use of Google at the same time as searching for a related matter, your website came up. It seems good. I’ve bookmarked it in my google bookmarks to visit then. Hey there. I found your website via Google while looking for a comparable topic, your web site got here up. It seems good. I have bookmarked it in my google bookmarks to visit then. Hey there. I found your web site by way of Google while searching for a similar subject, your website came up. It looks great. I’ve bookmarked it in my google bookmarks to come back then. Hey there. I found your web site via Google even as searching for a similar topic, your website came up. It seems great. I have bookmarked it in my google bookmarks to come back then. Hiya, I am really glad I have found this info. Nowadays bloggers publish just about gossip and web stuff and this is actually annoying. A good site with interesting content, that is what I need. Thanks for making this website, and I’ll be visiting again. Do you do newsletters by email? Hiya, I am really glad I’ve found this information. Today bloggers publish just about gossip and internet stuff and this is really annoying. A good blog with exciting content, that is what I need. Thank you for making this site, and I will be visiting again. Do you do newsletters by email? Hi there. I found your website by way of Google while looking for a comparable topic, your site came up. It appears great. I have bookmarked it in my google bookmarks to visit then. Hiya, I’m really glad I’ve found this information. Nowadays bloggers publish only about gossip and web stuff and this is really annoying. A good website with interesting content, that is what I need. Thank you for making this site, and I will be visiting again. Do you do newsletters by email? Hiya, I am really glad I’ve found this information. Nowadays bloggers publish only about gossip and net stuff and this is really frustrating. A good website with exciting content, this is what I need. Thanks for making this website, and I will be visiting again. Do you do newsletters by email? Hello there. I found your blog by means of Google at the same time as searching for a related subject, your site got here up. It looks good. I have bookmarked it in my google bookmarks to visit then. Hi there. I discovered your site by the use of Google while searching for a comparable matter, your web site came up. It appears good. I’ve bookmarked it in my google bookmarks to come back then. Hello there. I found your site by way of Google even as searching for a similar subject, your site came up. It appears to be great. I’ve bookmarked it in my google bookmarks to come back then. Hi there. I discovered your website via Google at the same time as searching for a related subject, your website got here up. It seems great. I’ve bookmarked it in my google bookmarks to come back then. Hiya, I’m really glad I have found this info. Nowadays bloggers publish just about gossip and internet stuff and this is actually irritating. A good site with exciting content, that’s what I need. Thank you for making this site, and I will be visiting again. Do you do newsletters by email? Hi there. I found your web site by the use of Google while looking for a comparable subject, your site came up. It appears to be good. I’ve bookmarked it in my google bookmarks to visit then. Hi there. I discovered your web site by way of Google even as looking for a comparable subject, your website came up. It seems good. I have bookmarked it in my google bookmarks to visit then. It’s truly a great and helpful piece of information. I’m happy that you simply shared this useful info with us. Please keep us up to date like this. Thanks for sharing. Hiya, I’m really glad I have found this information. Today bloggers publish just about gossip and net stuff and this is really annoying. A good website with exciting content, this is what I need. Thank you for making this web-site, and I’ll be visiting again. Do you do newsletters by email? Hi there. I found your website by the use of Google at the same time as looking for a related topic, your website got here up. It appears to be great. I’ve bookmarked it in my google bookmarks to come back then. Hey there. I found your website by means of Google even as searching for a similar topic, your web site came up. It seems good. I have bookmarked it in my google bookmarks to visit then. RETS PRO reviews and other info are usually easily available within our discussion forums. RETS PRO serves a huge group of developers and real estate brokers who require the ultimate flexibility in their IDX output. RETS PRO wordpress plugin is the ultimate software system available for any real estate property website developer. RETSPRO was built specifically for web designers to allow them with the tools to totally customize a site for any real-estate clients. Hiya, I’m really glad I have found this info. Nowadays bloggers publish just about gossip and internet stuff and this is really annoying. A good site with exciting content, that’s what I need. Thanks for making this site, and I will be visiting again. Do you do newsletters by email? Hi there. I discovered your website by means of Google at the same time as searching for a comparable topic, your web site came up. It seems great. I’ve bookmarked it in my google bookmarks to come back then. Hey there. I found your website by the use of Google even as searching for a similar matter, your site came up. It appears great. I have bookmarked it in my google bookmarks to visit then. Hello there. I found your web site by means of Google at the same time as searching for a similar matter, your site came up. It seems great. I’ve bookmarked it in my google bookmarks to visit then. It’s truly a nice and useful piece of info. I’m happy that you simply shared this helpful info with us. Please stay us informed like this. Thank you for sharing. Hiya, I’m really glad I have found this info. Today bloggers publish only about gossip and web stuff and this is actually frustrating. A good web site with exciting content, this is what I need. Thank you for making this site, and I will be visiting again. Do you do newsletters by email? Hey there. I discovered your web site by the use of Google while searching for a comparable matter, your web site came up. It seems great. I’ve bookmarked it in my google bookmarks to come back then. Hey there. I found your web site by way of Google while looking for a comparable topic, your site came up. It appears to be good. I have bookmarked it in my google bookmarks to come back then. Hello there. I found your blog by way of Google even as searching for a similar matter, your web site came up. It seems great. I have bookmarked it in my google bookmarks to come back then. Hi there. I discovered your web site via Google at the same time as looking for a comparable topic, your web site got here up. It looks great. I have bookmarked it in my google bookmarks to come back then. Hi there. I found your site via Google at the same time as looking for a related matter, your site came up. It seems great. I have bookmarked it in my google bookmarks to visit then. Thanks, I’ve just been looking for info approximately this subject for a long time and yours is the best I’ve discovered so far. But, what in regards to the conclusion? Are you certain in regards to the source? Hi there. I discovered your blog by means of Google even as looking for a comparable topic, your site came up. It appears great. I’ve bookmarked it in my google bookmarks to come back then. Hi there. I discovered your blog by the use of Google at the same time as searching for a similar matter, your site came up. It appears to be good. I’ve bookmarked it in my google bookmarks to come back then. Hiya, I’m really glad I have found this information. Nowadays bloggers publish only about gossip and net stuff and this is actually frustrating. A good website with exciting content, that’s what I need. Thank you for making this web-site, and I will be visiting again. Do you do newsletters by email? You made various fine points there. I did a search on the subject and found mainly folks will agree with your blog. Hey there. I found your site via Google at the same time as searching for a similar topic, your site came up. It seems to be good. I’ve bookmarked it in my google bookmarks to visit then. Hi there. I discovered your site by the use of Google at the same time as looking for a comparable subject, your website got here up. It appears great. I have bookmarked it in my google bookmarks to visit then. Hello there. I discovered your web site by means of Google whilst looking for a related topic, your web site came up. It looks good. I’ve bookmarked it in my google bookmarks to visit then. Hi there. I discovered your blog by the use of Google while searching for a comparable subject, your site came up. It appears great. I have bookmarked it in my google bookmarks to come back then. Hello there. I discovered your website by way of Google even as looking for a similar topic, your web site came up. It seems to be great. I’ve bookmarked it in my google bookmarks to visit then. Hi there. I discovered your website by way of Google at the same time as searching for a related matter, your website came up. It looks great. I have bookmarked it in my google bookmarks to visit then. Hi there. I discovered your website via Google even as searching for a similar matter, your website got here up. It appears to be good. I’ve bookmarked it in my google bookmarks to visit then. I would like to show my appreciation to the writer for bailing me out of such a setting. Just after browsing throughout the world-wide-web and finding ways that were not productive, I thought my life was over. Being alive without the strategies to the difficulties you have solved through your main guideline is a serious case, and those which might have in a negative way affected my entire career if I had not encountered your web page. The capability and kindness in touching the whole lot was important. I am not sure what I would have done if I had not come upon such a point like this. I’m able to now look forward to my future. Thanks for your time very much for your impressive and results-oriented help. I won’t think twice to recommend your web site to any individual who will need assistance about this topic. I wanted to put you a very little note to give thanks as before on your precious pointers you have shown at this time. It was quite strangely open-handed of people like you to make easily exactly what most people could possibly have distributed as an e-book to help with making some profit for themselves, primarily considering that you might have done it in the event you wanted. Those good ideas likewise acted like a good way to understand that other individuals have a similar dream similar to mine to learn a lot more in regard to this matter. I’m certain there are lots of more enjoyable periods in the future for individuals who looked over your website. Hiya, I’m really glad I’ve found this info. Nowadays bloggers publish only about gossip and internet stuff and this is really frustrating. A good web site with interesting content, this is what I need. Thank you for making this web site, and I will be visiting again. Do you do newsletters by email? Hiya, I am really glad I’ve found this information. Today bloggers publish just about gossip and internet stuff and this is actually irritating. A good website with interesting content, this is what I need. Thanks for making this web-site, and I will be visiting again. Do you do newsletters by email? Hello there. I discovered your blog via Google even as searching for a related topic, your site came up. It seems good. I’ve bookmarked it in my google bookmarks to come back then. Usually I do not read article on blogs, however I wish to say that this write-up very compelled me to check out and do so! Your writing taste has been surprised me. Thank you, quite nice article. whoah this blog is fantastic i really like studying your articles. Keep up the good paintings! You recognize, lots of persons are searching round for this information, you can help them greatly. Thanks, I have recently been searching for information approximately this topic for ages and yours is the best I’ve discovered till now. However, what about the bottom line? Are you certain about the supply? Hello there. I discovered your site via Google whilst looking for a similar subject, your site came up. It looks great. I have bookmarked it in my google bookmarks to visit then. Hey there. I discovered your blog via Google even as searching for a related matter, your website came up. It looks great. I’ve bookmarked it in my google bookmarks to visit then. I¡¦m no longer positive the place you are getting your information, however great topic. I needs to spend some time learning more or understanding more. Thanks for great info I was searching for this info for my mission. Thank you a bunch for sharing this with all people you really recognise what you are speaking about! Bookmarked. Please also seek advice from my site =). We will have a hyperlink alternate agreement between us! It¡¦s really a great and helpful piece of information. I am happy that you just shared this useful info with us. Please stay us up to date like this. Thank you for sharing. hello there and thank you for your information – I’ve certainly picked up something new from right here. I did however expertise several technical points using this website, since I experienced to reload the site a lot of times previous to I could get it to load properly. I had been wondering if your hosting is OK? Not that I’m complaining, but slow loading instances times will often affect your placement in google and can damage your high quality score if ads and marketing with Adwords. Anyway I’m adding this RSS to my e-mail and can look out for much more of your respective interesting content. Make sure you update this again soon..
Hello there. I discovered your web site via Google while searching for a similar subject, your site got here up. It looks good. I have bookmarked it in my google bookmarks to visit then. Hiya, I’m really glad I have found this information. Today bloggers publish only about gossip and internet stuff and this is actually irritating. A good site with interesting content, that is what I need. Thank you for making this website, and I’ll be visiting again. Do you do newsletters by email? Hiya, I am really glad I have found this information. Nowadays bloggers publish only about gossip and internet stuff and this is actually annoying. A good website with interesting content, that’s what I need. Thanks for making this site, and I’ll be visiting again. Do you do newsletters by email? Hello there. I found your blog via Google whilst searching for a comparable topic, your site got here up. It appears to be good. I’ve bookmarked it in my google bookmarks to come back then. Thank you for sharing superb informations. Your site is very cool. I am impressed by the details that you have on this site. It reveals how nicely you perceive this subject. Bookmarked this web page, will come back for more articles. You, my pal, ROCK! I found just the info I already searched all over the place and just couldn’t come across. What an ideal web site. Thank you for some other informative site. Where else may just I am getting that type of info written in such an ideal approach? I have a project that I’m simply now running on, and I have been on the glance out for such information. I simply needed to thank you very much yet again. I am not sure what I would have made to happen without the type of hints shared by you directly on such a theme. This has been a fearsome setting in my view, but coming across the skilled strategy you dealt with the issue took me to leap with contentment. I am thankful for the help and thus wish you realize what a great job you are always getting into instructing some other people all through a blog. More than likely you have never got to know all of us. Hey there. I found your web site by the use of Google at the same time as looking for a comparable topic, your web site got here up. It seems to be great. I’ve bookmarked it in my google bookmarks to visit then. I intended to draft you this very small observation to be able to thank you very much as before for your marvelous secrets you’ve documented here. This is certainly strangely generous with people like you in giving extensively exactly what many individuals could have supplied for an e-book to end up making some cash for their own end, and in particular since you could have done it if you desired. These inspiring ideas in addition served like a easy way to be certain that most people have similar passion like mine to realize a good deal more when it comes to this issue. I’m certain there are lots of more enjoyable sessions ahead for individuals who examine your site. Hey there. I found your website via Google even as searching for a related subject, your web site got here up. It appears to be good. I have bookmarked it in my google bookmarks to visit then. Excellent read, I just passed this onto a friend who was doing some research on that. And he actually bought me lunch since I found it for him smile Thus let me rephrase that: Thank you for lunch! “Any man would be forsworn to gain a kingdom.” by Roger Zelazny. I would like to express my admiration for your kind-heartedness in support of those who have the need for guidance on your situation. Your real commitment to passing the solution all-around appears to be amazingly beneficial and have frequently permitted those just like me to realize their ambitions. Your own warm and helpful report indicates this much a person like me and somewhat more to my colleagues. Many thanks; from everyone of us. hey there and thank you for your information – I’ve certainly picked up something new from right here. I did however expertise a few technical issues using this website, since I experienced to reload the web site a lot of times previous to I could get it to load correctly. I had been wondering if your hosting is OK? Not that I am complaining, but slow loading instances times will often affect your placement in google and can damage your high quality score if advertising and marketing with Adwords. Anyway I am adding this RSS to my email and could look out for a lot more of your respective interesting content. Make sure you update this again very soon.. Thank you for any other wonderful post. The place else could anyone get that type of info in such a perfect manner of writing? I’ve a presentation subsequent week, and I am on the search for such info. wonderful submit, very informative. I ponder why the other specialists of this sector do not understand this. You should continue your writing. I’m confident, you have a great readers’ base already! My husband and i ended up being absolutely ecstatic Ervin managed to conclude his basic research from the precious recommendations he acquired through the weblog. It is now and again perplexing just to always be offering instructions that other folks have been making money from. And we all understand we need you to thank for this. The main illustrations you’ve made, the straightforward web site navigation, the relationships you aid to create – it’s got many sensational, and it’s really leading our son in addition to us imagine that the matter is excellent, and that is exceptionally essential. Thanks for the whole lot! Wow, marvelous weblog layout! How long have you ever been running a blog for? you make blogging look easy. The whole look of your site is wonderful, let alone the content material! Hi there. I discovered your web site via Google at the same time as searching for a similar topic, your website got here up. It seems great. I have bookmarked it in my google bookmarks to come back then. F*ckin’ tremendous things here. I am very glad to see your article. Thanks so much and i am looking forward to contact you. Will you kindly drop me a e-mail? You can definitely see your skills within the paintings you write. The world hopes for even more passionate writers such as you who are not afraid to say how they believe. All the time follow your heart. “A simple fact that is hard to learn is that the time to save money is when you have some.” by Joe Moore. Hiya, I am really glad I have found this info. Nowadays bloggers publish only about gossip and web stuff and this is actually irritating. A good blog with exciting content, that’s what I need. Thank you for making this web-site, and I’ll be visiting again. Do you do newsletters by email? Hiya, I am really glad I’ve found this information. Today bloggers publish only about gossip and web stuff and this is really irritating. A good website with interesting content, this is what I need. Thank you for making this web-site, and I will be visiting again. Do you do newsletters by email? Hello there. I discovered your site by means of Google at the same time as searching for a related matter, your web site came up. It seems to be great. I’ve bookmarked it in my google bookmarks to come back then. Hello there. I found your site by way of Google even as looking for a similar topic, your site got here up. It seems to be great. I have bookmarked it in my google bookmarks to visit then. Hello there. I found your site via Google while looking for a similar matter, your site came up. It appears great. I have bookmarked it in my google bookmarks to visit then. Hello there. I found your blog via Google whilst looking for a related subject, your site got here up. It appears to be great. I’ve bookmarked it in my google bookmarks to visit then. I would like to thnkx for the efforts you’ve put in writing this website. I am hoping the same high-grade blog post from you in the upcoming also. Actually your creative writing abilities has inspired me to get my own site now. Really the blogging is spreading its wings fast. Your write up is a good example of it. Thanks for any other informative site. The place else could I am getting that type of info written in such a perfect manner? I have a challenge that I’m just now running on, and I’ve been at the glance out for such info. Great website. Lots of useful information here. I¡¦m sending it to some friends ans also sharing in delicious. And certainly, thank you to your effort! hi!,I love your writing so a lot! share we keep up a correspondence extra about your article on AOL? I require a specialist in this space to unravel my problem. May be that’s you! Looking ahead to look you. You are my inspiration, I possess few web logs and rarely run out from brand :). “No opera plot can be sensible, for people do not sing when they are feeling sensible.” by W. H. Auden. Very efficiently written article. It will be beneficial to anybody who utilizes it, as well as myself. Keep doing what you are doing – for sure i will check out more posts. I¡¦ve read a few just right stuff here. Definitely worth bookmarking for revisiting. I surprise how much effort you place to make the sort of great informative web site. I needed to put you a very small note just to thank you so much once again regarding the striking information you have discussed at this time. This has been quite strangely open-handed of people like you to give freely exactly what numerous people could possibly have marketed for an e book in order to make some profit on their own, certainly considering that you could have done it in the event you considered necessary. The good ideas in addition worked to become a great way to know that other people online have a similar passion just as my very own to grasp somewhat more with respect to this issue. I know there are lots of more pleasurable occasions in the future for folks who read your site. I truly wanted to write down a brief remark to thank you for the amazing items you are placing on this website. My considerable internet search has finally been honored with beneficial ideas to write about with my pals. I would tell you that we readers are rather lucky to exist in a great place with so many wonderful professionals with great ideas. I feel quite blessed to have used the webpages and look forward to some more amazing moments reading here. Thank you once again for a lot of things. Hey there. I found your website by means of Google while searching for a related topic, your site came up. It appears great. I have bookmarked it in my google bookmarks to visit then. Hello there. I discovered your site by the use of Google while searching for a comparable matter, your site came up. It looks good. I’ve bookmarked it in my google bookmarks to visit then. Hiya, I am really glad I have found this information. Today bloggers publish just about gossip and web stuff and this is actually annoying. A good blog with exciting content, this is what I need. Thank you for making this web-site, and I will be visiting again. Do you do newsletters by email? Hi there. I found your blog by the use of Google at the same time as looking for a comparable topic, your site got here up. It seems to be great. I have bookmarked it in my google bookmarks to come back then. Excellent goods from you, man. I’ve understand your stuff previous to and you are just extremely fantastic. I really like what you’ve acquired here, really like what you are saying and the way in which you say it. You make it entertaining and you still take care of to keep it sensible. I cant wait to read much more from you. This is really a terrific web site. Hiya, I’m really glad I have found this info. Today bloggers publish only about gossip and web stuff and this is actually frustrating. A good site with exciting content, this is what I need. Thank you for making this site, and I will be visiting again. Do you do newsletters by email? My spouse and i got quite ecstatic when Ervin managed to complete his investigation through the entire precious recommendations he acquired out of the web page. It is now and again perplexing to simply possibly be freely giving tactics some others might have been selling. And we all do know we now have you to thank for that. The main explanations you made, the straightforward website menu, the relationships you give support to create – it’s many exceptional, and it is making our son and the family reason why that issue is enjoyable, and that’s incredibly mandatory. Thank you for all! Hi my loved one! I want to say that this article is awesome, nice written and include approximately all vital infos. I’d like to look more posts like this. Hey there. I discovered your web site by means of Google at the same time as searching for a similar matter, your website got here up. It looks good. I have bookmarked it in my google bookmarks to visit then. Hiya, I am really glad I have found this info. Today bloggers publish only about gossip and internet stuff and this is actually annoying. A good site with exciting content, this is what I need. Thanks for making this website, and I will be visiting again. Do you do newsletters by email? you are in point of fact a just right webmaster. The website loading velocity is incredible. It sort of feels that you’re doing any unique trick. In addition, The contents are masterpiece. you’ve performed a magnificent process on this subject! Generally I don’t learn article on blogs, however I would like to say that this write-up very pressured me to check out and do so! Your writing taste has been surprised me. Thanks, very great post. Thanks for sharing superb informations. Your web-site is so cool. I am impressed by the details that you¡¦ve on this web site. It reveals how nicely you perceive this subject. Bookmarked this website page, will come back for more articles. You, my pal, ROCK! I found just the information I already searched all over the place and simply couldn’t come across. What a perfect site. Hiya, I am really glad I have found this information. Today bloggers publish only about gossip and net stuff and this is actually frustrating. A good site with exciting content, that’s what I need. Thanks for making this site, and I’ll be visiting again. Do you do newsletters by email? Thanks a bunch for sharing this with all people you really know what you are talking about! Bookmarked. Please additionally visit my website =). We could have a hyperlink trade arrangement among us! Hey very cool site!! Guy .. Beautiful .. Superb .. I will bookmark your web site and take the feeds also¡KI am satisfied to search out so many useful info right here in the publish, we need work out more techniques in this regard, thank you for sharing. . . . . .
Hey there. I discovered your site by means of Google at the same time as searching for a comparable topic, your website came up. It seems good. I’ve bookmarked it in my google bookmarks to visit then. Hello there. I discovered your site by the use of Google whilst looking for a similar matter, your website got here up. It looks good. I have bookmarked it in my google bookmarks to come back then. You really make it seem really easy along with your presentation however I to find this matter to be really something which I believe I would by no means understand. It kind of feels too complex and extremely vast for me. I’m taking a look forward to your next put up, I will attempt to get the cling of it! Hello there. I found your web site by means of Google at the same time as searching for a comparable matter, your site came up. It seems to be good. I’ve bookmarked it in my google bookmarks to come back then. Thank you for sharing superb informations. Your web site is very cool. I am impressed by the details that you¡¦ve on this site. It reveals how nicely you perceive this subject. Bookmarked this website page, will come back for extra articles. You, my friend, ROCK! I found simply the info I already searched all over the place and simply could not come across. What a perfect web site. I really enjoy looking at on this internet site , it holds excellent blog posts. “Beauty in things exist in the mind which contemplates them.” by David Hume. Thanks a lot for giving everyone an extremely wonderful opportunity to read from here. It is always so useful and as well , full of a good time for me and my office fellow workers to search your site really 3 times in 7 days to study the new items you have. And of course, I’m so actually amazed with the astounding suggestions served by you. Some two tips in this article are unequivocally the most effective I’ve had. Thank you, I’ve just been looking for info approximately this subject for a while and yours is the greatest I’ve discovered till now. However, what about the conclusion? Are you sure in regards to the supply? Hello there. I discovered your site by the use of Google at the same time as looking for a similar matter, your site got here up. It appears great. I have bookmarked it in my google bookmarks to come back then. Hey there. I found your web site via Google while searching for a related topic, your site got here up. It looks great. I’ve bookmarked it in my google bookmarks to visit then. I wanted to post you a very small word in order to thank you yet again considering the lovely concepts you have provided on this site. It has been simply wonderfully open-handed with you to give extensively precisely what a few people would have distributed for an e book to make some dough for themselves, specifically since you might well have tried it if you considered necessary. These strategies also worked to become a good way to fully grasp that other people online have the same eagerness the same as my own to know a good deal more regarding this problem. I am sure there are lots of more fun moments in the future for individuals who start reading your website. Hi there. I found your blog by means of Google while looking for a related topic, your site got here up. It appears good. I’ve bookmarked it in my google bookmarks to visit then. Only wanna comment on few general things, The website layout is perfect, the articles is very excellent. “I delight in men over seventy. They always offer one the devotion of a lifetime.” by Oscar Fingall O’Flahertie Wills Wilde. fantastic issues altogether, you just gained a brand new reader. What would you suggest in regards to your submit that you just made some days in the past? Any positive? Hey there. I found your web site via Google even as looking for a related subject, your site came up. It seems to be great. I’ve bookmarked it in my google bookmarks to come back then. Hello there. I discovered your blog by way of Google while searching for a comparable matter, your website came up. It appears great. I’ve bookmarked it in my google bookmarks to visit then. Hiya very nice blog!! Guy .. Excellent .. Wonderful .. I will bookmark your site and take the feeds also¡KI am happy to seek out a lot of helpful info right here within the publish, we want work out more techniques on this regard, thank you for sharing. . . . . .
Wow, wonderful blog layout! How long have you ever been blogging for? you make blogging glance easy. The entire look of your website is great, let alone the content material! Hello there. I discovered your website via Google while searching for a similar subject, your web site got here up. It appears to be great. I’ve bookmarked it in my google bookmarks to come back then. Hiya, I’m really glad I have found this info. Today bloggers publish only about gossip and net stuff and this is really irritating. A good blog with exciting content, that’s what I need. Thanks for making this web-site, and I’ll be visiting again. Do you do newsletters by email? I simply had to say thanks all over again. I do not know the things I could possibly have carried out in the absence of the recommendations documented by you on such a subject. It truly was an absolute terrifying case in my opinion, nevertheless looking at the professional mode you solved that made me to leap over happiness. Extremely thankful for this guidance and even hope you comprehend what a powerful job you’re putting in instructing the others with the aid of your webblog. Probably you haven’t encountered any of us. Our experts have been resting on 2 of these for around 2 weeks now, They are really great! I hope they keep their form for several years as well as do not sag where the sleeper exists. hi!,I like your writing very a lot! proportion we keep up a correspondence extra about your post on AOL? I need an expert on this area to unravel my problem. May be that’s you! Looking ahead to see you. you are in point of fact a excellent webmaster. The site loading pace is incredible. It seems that you are doing any unique trick. Also, The contents are masterpiece. you’ve done a magnificent process on this subject! I do trust all the concepts you’ve presented to your post. They’re very convincing and can certainly work. Still, the posts are very quick for beginners. May you please prolong them a bit from subsequent time? Thanks for the post. Hi there. I found your blog via Google even as looking for a comparable matter, your website came up. It seems to be great. I have bookmarked it in my google bookmarks to visit then. Hey there. I discovered your blog by the use of Google at the same time as looking for a related topic, your website came up. It appears good. I’ve bookmarked it in my google bookmarks to come back then. I simply had to thank you very much all over again. I’m not certain the things I would have carried out in the absence of the methods provided by you over my theme. Previously it was an absolute frightening dilemma in my opinion, but looking at the specialized avenue you processed that made me to cry for joy. I will be happy for the advice and even pray you are aware of a powerful job you happen to be undertaking educating people today thru your web blog. Most probably you haven’t encountered any of us. Whats Going down i am new to this, I stumbled upon this I’ve discovered It absolutely useful and it has aided me out loads. I hope to contribute & assist different users like its helped me. Great job. Thank you for all your valuable labor on this blog. My aunt really likes making time for investigation and it is easy to see why. My partner and i know all about the powerful mode you provide invaluable secrets through the blog and as well recommend response from others about this issue then our own girl is always understanding so much. Enjoy the remaining portion of the year. You have been conducting a pretty cool job. Excellent goods from you, man. I have understand your stuff previous to and you’re just too wonderful. I really like what you’ve acquired here, certainly like what you are saying and the way in which you say it. You make it enjoyable and you still care for to keep it sensible. I can not wait to read much more from you. This is actually a tremendous web site. Hey there. I found your site via Google while searching for a related subject, your web site came up. It seems to be good. I have bookmarked it in my google bookmarks to visit then. I would like to express my appreciation to you for rescuing me from such a predicament. Right after scouting throughout the world-wide-web and obtaining tips which are not productive, I believed my entire life was done. Living minus the solutions to the issues you’ve resolved as a result of the guideline is a serious case, as well as those which might have negatively affected my entire career if I hadn’t come across your blog post. That competence and kindness in handling all the details was useful. I don’t know what I would have done if I had not discovered such a subject like this. I can at this moment look ahead to my future. Thank you so much for your professional and sensible guide. I will not hesitate to endorse your site to any person who wants and needs counselling about this subject. For the cost ($279, no income tax, and free shipping) it is most absolutely worth the rate. Hello there. I found your site by means of Google even as looking for a comparable topic, your site got here up. It looks great. I’ve bookmarked it in my google bookmarks to visit then. I merely want to mention I am a newcomer to running a blog and site-building and certainly I enjoy this site. Definitely I am planning to bookmark your blog post . You definitely contain awesome web content and reviews. Appreciate it for posting your blog. Hiya, I am really glad I have found this information. Today bloggers publish just about gossip and web stuff and this is actually irritating. A good site with interesting content, that’s what I need. Thanks for making this web-site, and I’ll be visiting again. Do you do newsletters by email? Hiya very cool site!! Guy .. Beautiful .. Wonderful .. I’ll bookmark your blog and take the feeds additionally¡KI am satisfied to find a lot of helpful information right here in the publish, we need work out more strategies on this regard, thank you for sharing. . . . . .
Hiya, I am really glad I have found this info. Nowadays bloggers publish only about gossip and internet stuff and this is really frustrating. A good blog with interesting content, that’s what I need. Thank you for making this site, and I’ll be visiting again. Do you do newsletters by email? I have recently started a web site, the information you offer on this site has helped me tremendously. Thank you for all of your time & work. “Marriage love, honor, and negotiate.” by Joe Moore. I am no longer certain where you’re getting your info, however great topic. I must spend some time learning much more or understanding more. Thank you for magnificent information I used to be looking for this information for my mission. Only wanna comment on few general things, The website style and design is perfect, the content material is rattling fantastic. “If a man does his best, what else is there” by George Smith Patton, Jr.. I just could not go away your website prior to suggesting that I really enjoyed the standard information an individual provide to your visitors? Is going to be again steadily in order to inspect new posts. F*ckin’ remarkable things here. I’m very satisfied to look your post. Thanks so much and i’m having a look ahead to touch you. Will you please drop me a e-mail? Hello there. I found your site via Google even as looking for a related subject, your web site came up. It seems to be good. I’ve bookmarked it in my google bookmarks to visit then. Hi there. I discovered your website by way of Google even as looking for a comparable matter, your website came up. It appears great. I’ve bookmarked it in my google bookmarks to come back then. I would like to thnkx for the efforts you’ve put in writing this website. I am hoping the same high-grade web site post from you in the upcoming also. In fact your creative writing skills has encouraged me to get my own web site now. Actually the blogging is spreading its wings fast. Your write up is a good example of it. Wow, awesome weblog format! How long have you ever been running a blog for? you made blogging look easy. The full look of your website is magnificent, let alone the content! It is in reality a great and helpful piece of information. I am happy that you just shared this helpful information with us. Please keep us informed like this. Thank you for sharing. I was studying some of your content on this internet site and I conceive this internet site is really instructive! Keep posting. I’m writing to let you understand what a fine experience our child gained visiting your web page. She even learned a good number of issues, which include what it is like to possess a great teaching heart to let the mediocre ones completely fully understand selected very confusing subject matter. You undoubtedly exceeded readers’ expectations. Many thanks for offering these warm and helpful, trustworthy, explanatory not to mention easy tips on your topic to Kate. I in addition to my pals were found to be digesting the nice thoughts located on the blog and before long came up with an awful suspicion I had not thanked the web blog owner for those secrets. The women were for this reason happy to see all of them and have honestly been taking advantage of those things. Many thanks for turning out to be really helpful and for obtaining some excellent information most people are really eager to know about. Our sincere regret for not expressing gratitude to you sooner. What i do not understood is actually how you’re no longer really much more smartly-preferred than you may be now. You’re so intelligent. You recognize thus considerably in terms of this subject, produced me in my view believe it from numerous various angles. Its like men and women are not involved except it¡¦s something to accomplish with Lady gaga! Your individual stuffs nice. At all times handle it up! hello there and thank you for your info – I’ve certainly picked up something new from right here. I did however expertise some technical issues using this web site, as I experienced to reload the site lots of times previous to I could get it to load properly. I had been wondering if your web host is OK? Not that I am complaining, but sluggish loading instances times will sometimes affect your placement in google and can damage your high quality score if ads and marketing with Adwords. Well I’m adding this RSS to my email and could look out for a lot more of your respective intriguing content. Make sure you update this again very soon.. Thanks , I have recently been looking for information approximately this subject for a while and yours is the best I have found out till now. However, what concerning the conclusion? Are you sure about the supply? Hiya, I am really glad I’ve found this information. Nowadays bloggers publish only about gossip and net stuff and this is really annoying. A good website with interesting content, that’s what I need. Thanks for making this website, and I’ll be visiting again. Do you do newsletters by email? Hey there. I found your blog by way of Google while searching for a related subject, your website came up. It appears good. I have bookmarked it in my google bookmarks to come back then. I together with my buddies ended up studying the great tactics found on your website while unexpectedly got a horrible suspicion I had not expressed respect to the blog owner for those techniques. All of the people came certainly warmed to study all of them and have now truly been tapping into these things. We appreciate you truly being well considerate and then for having varieties of great tips most people are really needing to learn about. Our own sincere apologies for not expressing gratitude to earlier. I will immediately clutch your rss as I can’t to find your e-mail subscription hyperlink or newsletter service. Do you have any? Please permit me recognise so that I may just subscribe. Thanks. Hiya, I’m really glad I’ve found this information. Nowadays bloggers publish just about gossip and web stuff and this is actually frustrating. A good site with exciting content, that is what I need. Thanks for making this site, and I will be visiting again. Do you do newsletters by email? Hiya, I’m really glad I have found this information. Today bloggers publish only about gossip and internet stuff and this is actually frustrating. A good site with interesting content, this is what I need. Thanks for making this site, and I’ll be visiting again. Do you do newsletters by email? What¦s Going down i am new to this, I stumbled upon this I have discovered It absolutely helpful and it has helped me out loads. I am hoping to give a contribution & assist other users like its helped me. Good job. you’re truly a excellent webmaster. The web site loading pace is incredible. It kind of feels that you are doing any unique trick. Moreover, The contents are masterpiece. you’ve performed a magnificent process in this subject! You can definitely see your expertise within the paintings you write. The sector hopes for more passionate writers like you who are not afraid to say how they believe. All the time follow your heart. “The most profound joy has more of gravity than of gaiety in it.” by Michel de Montaigne. Hiya, I am really glad I have found this info. Nowadays bloggers publish only about gossip and internet stuff and this is actually irritating. A good site with exciting content, that is what I need. Thank you for making this web-site, and I will be visiting again. Do you do newsletters by email? Hi there. I discovered your web site by way of Google even as searching for a similar topic, your site came up. It seems to be great. I’ve bookmarked it in my google bookmarks to come back then. hello!,I love your writing very so much! proportion we communicate extra about your article on AOL? I require a specialist in this space to resolve my problem. May be that is you! Taking a look forward to peer you. Hi there. I found your web site by the use of Google while looking for a related matter, your web site got here up. It appears good. I have bookmarked it in my google bookmarks to visit then. Hey there. I found your web site by means of Google while searching for a similar matter, your website came up. It looks good. I’ve bookmarked it in my google bookmarks to come back then. I have read several excellent stuff here. Certainly value bookmarking for revisiting. I wonder how so much effort you put to make this type of great informative web site. Hello there. I found your blog by means of Google whilst looking for a comparable topic, your site got here up. It seems great. I’ve bookmarked it in my google bookmarks to visit then. Hey there. I discovered your site by means of Google even as looking for a comparable matter, your web site got here up. It seems good. I’ve bookmarked it in my google bookmarks to come back then. Hey there. I found your blog by means of Google while searching for a comparable subject, your website came up. It seems to be good. I’ve bookmarked it in my google bookmarks to visit then. Hi there. I discovered your website via Google whilst looking for a related matter, your site came up. It appears to be great. I have bookmarked it in my google bookmarks to visit then. Hi there. I found your site via Google at the same time as searching for a comparable subject, your website came up. It appears to be great. I have bookmarked it in my google bookmarks to visit then. Great web site. Lots of helpful info here. I¡¦m sending it to some friends ans also sharing in delicious. And naturally, thank you to your sweat! Hi there. I discovered your web site by way of Google while looking for a similar subject, your web site came up. It looks good. I have bookmarked it in my google bookmarks to come back then. Hiya, I am really glad I have found this info. Nowadays bloggers publish just about gossip and internet stuff and this is actually irritating. A good website with interesting content, that is what I need. Thanks for making this web site, and I’ll be visiting again. Do you do newsletters by email? Hello there. I discovered your website by way of Google even as looking for a comparable topic, your website came up. It looks good. I’ve bookmarked it in my google bookmarks to come back then. I’ve been browsing online more than three hours nowadays, yet I never found any fascinating article like yours. It is pretty worth enough for me. In my opinion, if all site owners and bloggers made just right content material as you probably did, the net will probably be a lot more helpful than ever before. “When there is a lack of honor in government, the morals of the whole people are poisoned.” by Herbert Clark Hoover. Hi there. I discovered your website by way of Google at the same time as searching for a similar topic, your web site came up. It seems good. I’ve bookmarked it in my google bookmarks to come back then. whoah this weblog is magnificent i love reading your posts. Keep up the good paintings! You recognize, a lot of people are hunting round for this information, you could help them greatly. Its great as your other articles : D, thankyou for putting up. “Music is the soul of language.” by Max Heindel. Hiya, I’m really glad I have found this information. Today bloggers publish only about gossip and internet stuff and this is actually annoying. A good blog with exciting content, that is what I need. Thanks for making this website, and I will be visiting again. Do you do newsletters by email? Excellent site. A lot of useful info here. I am sending it to some pals ans also sharing in delicious. And obviously, thanks for your sweat! Hiya, I’m really glad I’ve found this information. Nowadays bloggers publish only about gossip and net stuff and this is actually irritating. A good blog with interesting content, this is what I need. Thank you for making this web site, and I’ll be visiting again. Do you do newsletters by email? Hey there. I discovered your site via Google even as looking for a related matter, your site got here up. It appears to be good. I have bookmarked it in my google bookmarks to visit then. Hiya, I’m really glad I have found this information. Today bloggers publish only about gossip and web stuff and this is really irritating. A good blog with interesting content, that is what I need. Thank you for making this web-site, and I’ll be visiting again. Do you do newsletters by email? Merely wanna remark on few general things, The website style is perfect, the articles is really good : D.
I am extremely impressed together with your writing talents and also with the format in your weblog. Is that this a paid subject or did you customize it your self? Anyway stay up the excellent quality writing, it is rare to peer a great weblog like this one today.. Thanks for every other great post. Where else could anyone get that type of info in such an ideal method of writing? I’ve a presentation next week, and I am on the look for such information. Very efficiently written post. It will be useful to everyone who utilizes it, as well as yours truly :). Keep doing what you are doing – looking forward to more posts. Some truly excellent information, Sword lily I noticed this. “If you don’t make mistakes, you aren’t really trying.” by Coleman Hawking. Somebody essentially lend a hand to make significantly posts I might state. That is the first time I frequented your website page and to this point? I amazed with the research you made to create this particular post incredible. Wonderful activity! Wow, superb blog format! How lengthy have you ever been blogging for? you make running a blog glance easy. The entire look of your web site is great, let alone the content! I precisely had to thank you so much all over again. I do not know what I would have gone through in the absence of the advice contributed by you about this subject. This has been the hard problem in my view, but witnessing the very expert strategy you managed it took me to jump for gladness. Extremely grateful for this work and even believe you recognize what a great job your are getting into training some other people all through a web site. Most probably you’ve never encountered any of us. Thank you for another informative site. Where else may I get that type of information written in such an ideal means? I’ve a project that I’m just now working on, and I’ve been at the glance out for such information. Hello.This article was extremely interesting, particularly because I was looking for thoughts on this issue last Tuesday. Real nice style and great written content , nothing else we require : D.
Whats Taking place i am new to this, I stumbled upon this I’ve discovered It positively helpful and it has aided me out loads. I am hoping to contribute & assist different users like its helped me. Good job. Great – I should definitely pronounce, impressed with your site. I had no trouble navigating through all the tabs as well as related information ended up being truly easy to do to access. I recently found what I hoped for before you know it at all. Reasonably unusual. Is likely to appreciate it for those who add forums or something, website theme . a tones way for your client to communicate. Nice task. you’re in point of fact a just right webmaster. The site loading pace is incredible. It kind of feels that you are doing any unique trick. Moreover, The contents are masterpiece. you have performed a wonderful job on this topic! certainly like your website however you need to take a look at the spelling on several of your posts. Many of them are rife with spelling problems and I to find it very bothersome to tell the reality nevertheless I’ll definitely come again again. Keep up the fantastic work , I read few posts on this site and I conceive that your website is rattling interesting and holds circles of great information. It¡¦s really a cool and helpful piece of information. I¡¦m satisfied that you just shared this helpful information with us. Please keep us informed like this. Thanks for sharing. Hey there. I discovered your website by way of Google while looking for a related subject, your site came up. It appears to be good. I have bookmarked it in my google bookmarks to come back then. Hello there. I discovered your blog via Google while searching for a similar topic, your web site got here up. It looks great. I have bookmarked it in my google bookmarks to come back then. Almost all of whatever you point out is supprisingly appropriate and it makes me wonder the reason why I hadn’t looked at this with this light before. Your piece really did turn the light on for me as far as this specific issue goes. Nonetheless at this time there is actually one issue I am not too comfy with and while I attempt to reconcile that with the core theme of your point, let me observe exactly what the rest of your subscribers have to say.Well done. Hi there. I discovered your blog by the use of Google while looking for a similar subject, your website got here up. It appears good. I have bookmarked it in my google bookmarks to visit then. Hiya, I’m really glad I’ve found this information. Nowadays bloggers publish just about gossip and web stuff and this is actually frustrating. A good website with exciting content, that is what I need. Thank you for making this site, and I will be visiting again. Do you do newsletters by email? Hey there. I discovered your site by the use of Google even as looking for a related topic, your web site got here up. It seems to be great. I have bookmarked it in my google bookmarks to come back then. Hiya, I’m really glad I have found this information. Nowadays bloggers publish just about gossip and internet stuff and this is actually frustrating. A good site with interesting content, that’s what I need. Thank you for making this website, and I’ll be visiting again. Do you do newsletters by email? Hello there. I discovered your site by means of Google at the same time as looking for a comparable topic, your site came up. It appears great. I have bookmarked it in my google bookmarks to come back then. Hiya, I’m really glad I’ve found this information. Today bloggers publish only about gossip and web stuff and this is really irritating. A good site with interesting content, this is what I need. Thank you for making this website, and I’ll be visiting again. Do you do newsletters by email? Hiya, I’m really glad I have found this info. Today bloggers publish only about gossip and web stuff and this is really annoying. A good web site with exciting content, this is what I need. Thank you for making this site, and I will be visiting again. Do you do newsletters by email? Hiya, I am really glad I have found this info. Today bloggers publish only about gossip and internet stuff and this is really annoying. A good blog with exciting content, that’s what I need. Thanks for making this web-site, and I will be visiting again. Do you do newsletters by email? Hi there. I discovered your site by means of Google at the same time as searching for a similar matter, your site came up. It seems to be great. I have bookmarked it in my google bookmarks to come back then. Great goods from you, man. I’ve understand your stuff previous to and you’re just extremely wonderful. I actually like what you have acquired here, certainly like what you’re saying and the way in which you say it. You make it enjoyable and you still care for to keep it wise. I can’t wait to read much more from you. This is really a wonderful web site. Hiya, I’m really glad I’ve found this info. Nowadays bloggers publish just about gossip and internet stuff and this is really irritating. A good website with interesting content, that’s what I need. Thank you for making this site, and I will be visiting again. Do you do newsletters by email? Hiya, I am really glad I’ve found this information. Today bloggers publish only about gossip and web stuff and this is actually frustrating. A good web site with interesting content, that’s what I need. Thank you for making this web-site, and I’ll be visiting again. Do you do newsletters by email? Hiya, I’m really glad I have found this information. Nowadays bloggers publish just about gossip and internet stuff and this is really annoying. A good website with interesting content, this is what I need. Thanks for making this web site, and I will be visiting again. Do you do newsletters by email? I was reading some of your articles on this site and I believe this web site is really instructive! Continue putting up. I have learn some good stuff here. Certainly price bookmarking for revisiting. I surprise how so much attempt you put to make this kind of wonderful informative website. You could definitely see your skills within the paintings you write. The sector hopes for even more passionate writers like you who aren’t afraid to mention how they believe. Always follow your heart. “We may pass violets looking for roses. We may pass contentment looking for victory.” by Bern Williams. Hello there. I discovered your site by the use of Google even as searching for a similar subject, your site came up. It appears great. I have bookmarked it in my google bookmarks to come back then. Hello there. I found your website by means of Google even as searching for a comparable topic, your site got here up. It appears to be good. I have bookmarked it in my google bookmarks to visit then. Hiya, I’m really glad I have found this info. Nowadays bloggers publish only about gossip and web stuff and this is actually annoying. A good blog with exciting content, that is what I need. Thank you for making this web-site, and I will be visiting again. Do you do newsletters by email? obviously like your web-site but you have to take a look at the spelling on quite a few of your posts. Several of them are rife with spelling problems and I to find it very troublesome to tell the truth nevertheless I will surely come again again. Hey there. I discovered your website by means of Google while searching for a similar topic, your website got here up. It looks great. I have bookmarked it in my google bookmarks to come back then. You have mentioned very interesting details ! ps nice internet site . “To grow mature is to separate more distinctly, to connect more closely.” by Hugo Von Hofmannsthal.